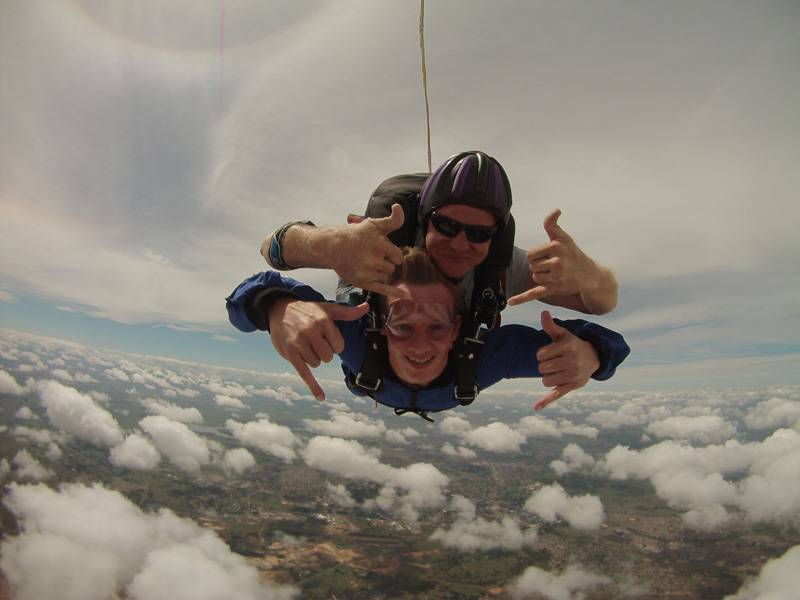 SKYDIVE TANDEM Johannesburg - Open 7 days a week! For safety reasons we have a weight limit of 95 kg for tandem passengers for your own and our staffs safety. In order to complete a tandem jump, you must be reasonably fit, meet our weight restrictions and must lift both legs simultaneously for the landing. We slide in on our backsides. Any health and medical Issues must be declared before making your booking. Chief instructors discretion. We operate every weekend and week day jumps by prior arrangement. R500 non refundable deposit per person is required for confirmation of booking, balance to be paid on the day of the jump.